The M.V.P. card is designed to allow full color, edge to edge printing on both sides of the card. Whether you need a full-color display, variable information or just simple black text, the M.V.P. card can handle it all! 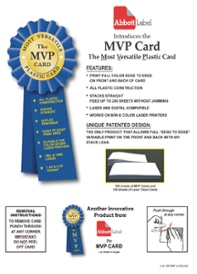 The M.V.P card is composed of a thin gauged highly durable all plastic construction. The patented plastic construction allows the card to come into contact with water and remain smudge proof. The plastic card integrates into the sheet of regular printer paper for additional printing versatility. The patented design of the M.V.P. card eliminates stack lean. The M.V.P. card has A truly flat surface, which allows you to maximize your printer's capacity without worrying about paper jams. Fewer paper jams mean less time wasted fixing paper jams and more time servicing your customers. The patented design allows any laser or digital printer to image the M.V.P. card. It doesn't matter if the printer is black and white ink only or full color, just as long as its laser or digital. With the M.V.P. 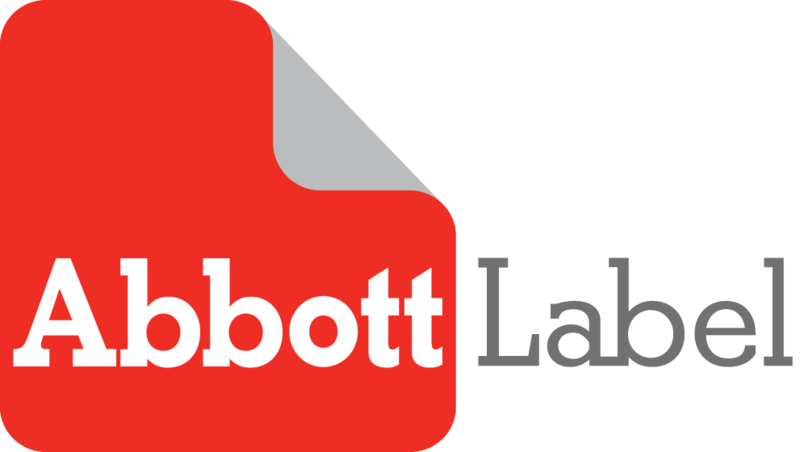 card, your customers can provide their clients with personalized print-on-demand membership cards. The secret that makes the M.V.P. card so special is its unique patented design. Because of it, the M.V.P. card is the only ID card product that allows full "edge to edge" print on both sides of the card without any stack lean.